Do you have Achilles tendonitis? Then one of the biggest parts of the body this affects is your feet, which hinders you from walking and running as properly as you did before. But not to worry! By knowing how to run properly and treating any symptoms of the condition, you’ll be able to run normally and without flareups. It’s also recommended to get the best running shoes for Achilles tendonitis, which help you stay comfortable and supported throughout all your runs. But which one is the most recommended shoe for you? Read on as I show you the 12 different shoe models made for either men and women! 3 What Is Achilles Tendonitis? 5.2 Where Are You Running? The first thing you’ll notice about the Mizuno Wave Rider 21 is its excellent design. As I read through its features, I decided to give it a shot. After testing it out myself, I found it to be the best of all the ones I tried? Why? This is all thanks to the excellent support it has for those who suffer from Achilles tendonitis. I feel like this isn’t a running shoe only for those with the condition, but for all types of runners as well, which is another reason why I love it! 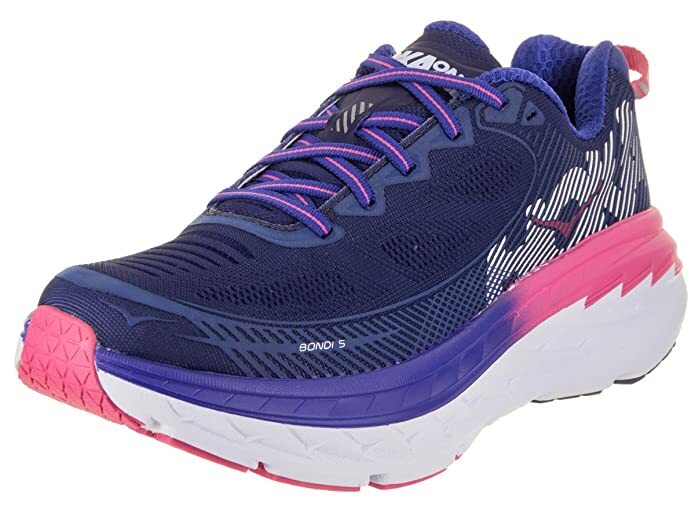 The shoe comes with the Mizuno Wave and Cloud, which has the right amount of cushioning and softness, so you feel comfortable and pain-free as you run. Furthermore, it has the sock liner to provide extra support to lessen the flareups, preventing injuries as you run. 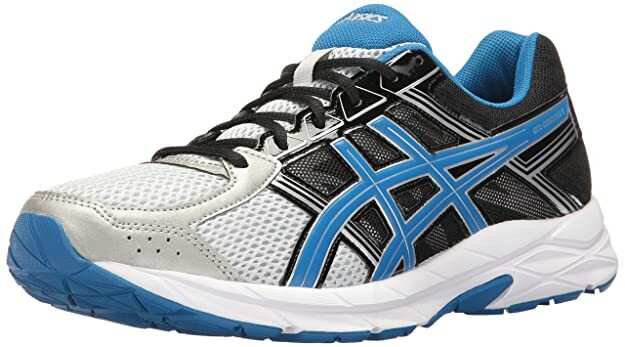 A huge advantage with the ASICS GEL-Nimbus 17 is its design. It’s made best for night runners because of its reflect upper, as all as the glow-in-the-dark GEL cushioning. Plus, despite it being a low-top shoe, it still offers excellent support from heel to toe. Sure, it isn’t as supportive and painless as the editor’s choice, but it’s a significant improvement from my former running shoes! The shoes come with the FluidFit upper technology to ensure that your toes don’t slip and that they fit snugly without it being too tight. All in all, I appreciate its features and still recommend it to anyone, particularly those who like to run in the dark. 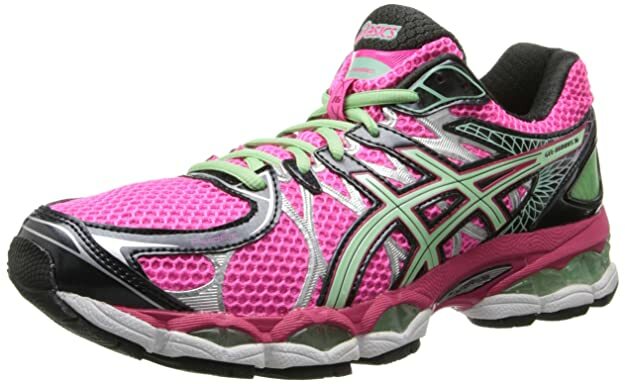 For those who want something with the smooth transitions and amazing support, then you’ll love the ASICS Gel-Contend 4. In my opinion, it isn’t the best-designed shoe out there, but in terms of features and feel, it’s one of the best that delivers! The show comes with the Rearfoot GEL Cushioning System, which is what gives it less shock as your feet makes an impact on the ground. It also helps give the smoother transition to your mid stance, which helps your positioning and runs. For support, there is a removable sock liner which can accommodate medical orthotics as needed. This is best for those who have conditions like plantar fasciitis or Achilles tendonitis. Plus, the sock liner also has better cushioning and the moisture wicking features, ensuring better breathability and comfort for your feet! While I can’t really say much for its durability, I believe it to be an amazing investment if you’re focusing more on improving your runs and supporting your feet. A lot of male runners would usually have problems with Achilles tendonitis, which affects men more than women. So if you want to prevent it or run despite having the condition, then I highly recommend Brook’s Ghost 10. Once I received it, I first admired its simple design, which came at the right size and had that snug fit. As for running with the shoes, it was really simple. I think it’s the simplicity I highly admired with this shoe, as it didn’t have the frills, yet did what it was expected to do: have me run in comfort without the pain. It did just that, and I had no problems as I ran. In fact, I enjoyed it and everything was smooth sailing! From its comfort down to its cool design, I believe it to be worth the price. For those who need a bit more weight on their shoes for strength purposes, then the ASICS Gel-Kayano 25 is the right one for you! While it’s a bit heavier than others I reviewed, it’s definitely the shoe for male runners, packing quite a punch without hurting your feet! The low-top shoe comes with the impact guidance system technology, which enhances your feet’s natural gait from when the heel strikes down to the toe-off. Because of this, running has never felt so much smoother and I really enjoy my runs because of it. Furthermore, this shoe comes with all the technologies you need, from the better bounce down to the amazing cushioning for extra comfort and support. So if you would like to enjoy better high-tech features and trade it off with the slightly heavier feel, then this is the shoe for you. 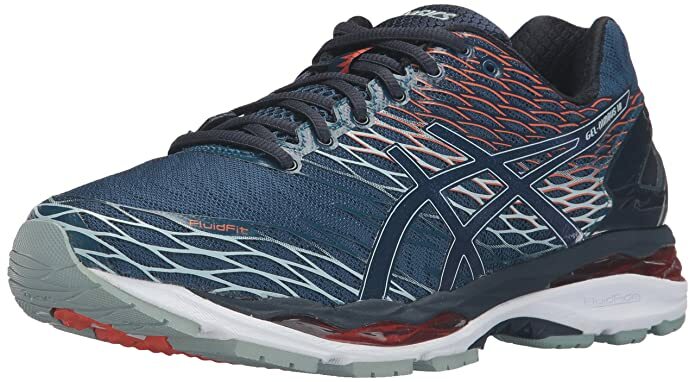 ASICS is still one of the best brands for running shoes out there, with the GEL-Nimbus 18 being a top choice because of its affordability and feature-packed construction. You have the advanced technology many of the ASICS shoes now have, which help give the bounce back and soft cushion as you run. When I began running with these shoes, I noticed that there is less of a shock while I run, and I experienced no pain or weird feeling around my feet and lower body whatsoever. Plus, my feet were well-ventilated thanks to its stretched mesh! The shoes fit snugly and have really surpassed my expectations, even comparing it to other of the ASICS shoes! I can see it’s constructed well and built to last, so if you want all the major necessities without overspending, you’ll love this. 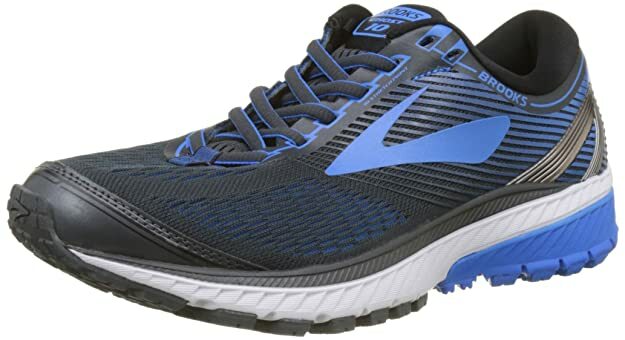 Brooks deserves to be at the top of my list because it has everything you need in a running shoe. It comes with the vast designs to choose from, whether you want dark hues or lighter ones! I’m in love with the laid-back design it has, but still turning heads as you run. But it isn’t just the cool designs and colors to commend, but its performance! When you first begin running with it, you can already feel how effective it is in terms of support. As you land on your feet, there is less discomfort from the impact. Furthermore, you can feel how smooth it is from the heel to toe. However, I do want to comment about the toe box area, which might not be the best for those with flat feet. Other than that, everything is great, from its lightweight construction down to the support and comfort it provides. 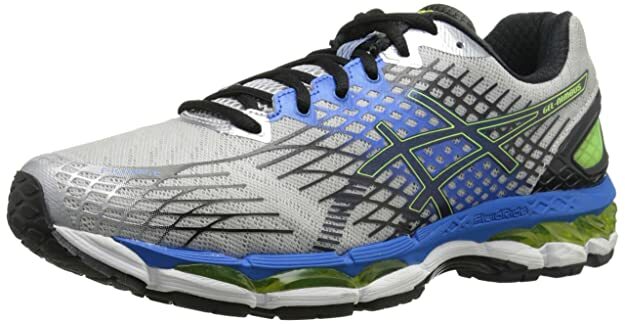 What I love most about the ASICS Gel-Contend 4 is its bright and professional design. It also has the breathable mesh I appreciate, which is perfect for breathability and those who run under hot weather! The cushioning is also moisture-wicking, so no worries for those who step on puddles or sweat too much. Besides that, it offers the removable sock liner, which is especially helpful for those with Achilles tendonitis. It accommodates medical orthotics if required and the cushioning performance. Nike is a popular brand known for its excellent sportswear and products, with the Air Zoom Vomera 13 being no exception. I highly appreciate its design, having a bright and durable construction with lots of colors to choose from. The shoe has the flyer cables and a plush cushioning, offering the snug and soft fit, as well as the supportive lockdown that’s customized to any foot size. Furthermore, it has durable traction regardless of where you run, making it a versatile pair of shoes to own! It’s simple and at an affordable price for a Nike product, which is a great investment for those who really love the name. The Hoka Bondi 5 isn’t the most popular shoe brand out there, but it really does have it all from the design to support. It has high arch support which is great to relieve and prevent pain for those with Achilles tendonitis, and it also has the 3D Puff Print Frame. This makes it have the durable construction but still with the cushioned, secure fit according to your unique foot size. The ortholite insole is also commendable, with even more cushioning for comfort as you run, as well as the better arch support. I experienced NO pain and it did the job excellently, making it well worth the investment. The ASICS GEL-Nimbus 16 is definitely a looker. It’s got a strong and bold design that will definitely turn heads as you go! But it isn’t just the design that makes it a good shoe, but the customized fit and support it brings. It has the heel-clutching system and the impact guidance system, which ensures that you have the good fit and your feet remain cushioned when meeting the ground. Furthermore, it has the soft padding and mesh upper, which makes it more breathable as you run. It’s also lightweight despite its huge look, making it very pleasant to run with! 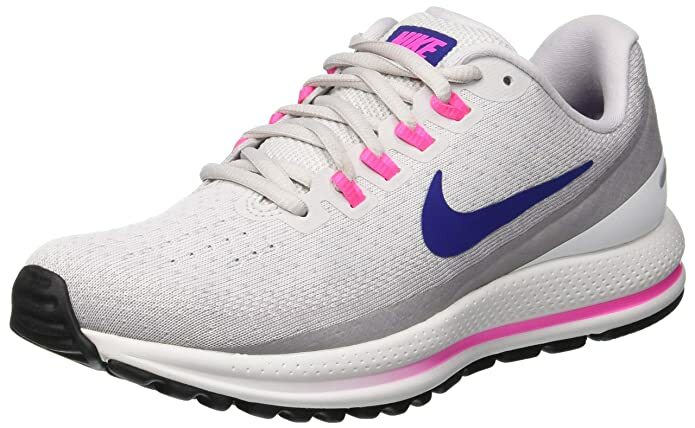 Nike really provides one of the best shoes for women, with the Nike Air Zoom Pegasus deserving one of the top recommendations. With so many designs to choose from without the expensive price, I can already say they look as cute as they perform. The Air Zoom series focuses more on sprinting and faster speed you run, and it truly delivers without the discomfort. They are designed to enhance the deflection impact while cushioning the foot, so despite the injury, I’m able to improve my times without any problems. While it takes a bit of time to get used to the feel, you’ll experience its amazing benefits in a week or so. Before we get into details on running with Achilles tendonitis, let’s first tackle what this condition is about! Achilles tendonitis is actually very common in runners, as it’s the overuse injury which occurs in the Achilles tendon. This is a band of tissue which connects the calf muscles from the back of your lower leg down to the heel bone. The condition is most common with runners who increase their duration or intensity of runs, or those who play sports only a once or twice a week. It’s also common for those who are older, as this tendon weakens as you age. One of the most noticeable symptoms is the pain, starting off as mild aches around the back of your leg or above your heel after running or other sports activities. The severity of the pain grows as you continue to run, climb, or sprint. Other symptoms include stiffness or tenderness that usually occurs in the morning. Fortunately, there are ways to treat it, which I’ll get into in the next sections. Achilles tendonitis requires more care and support, especially if you want to continue running! That’s why it’s highly recommended that you invest in the best running shoes for Achilles tendonitis. But what exactly can the right running shoes do for you? What I love about using the right running shoes is that it’s become easier to recover from the pain! And for those with specific conditions like Achilles tendonitis, there’s less pain and discomfort before, during, and after running. With the right support, you won’t have to worry about the symptoms, as it’s built to have you run in comfort. This is compared to the usual running shoes that come with no arch support! 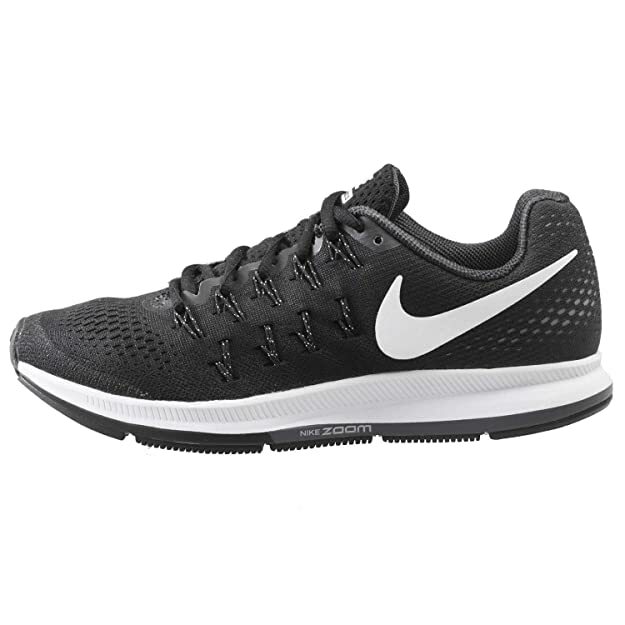 Whenever I look for running shoes, I always focus on cushioning and breathable mesh (after looking at the support, of course!). This is because everyone needs comfortable shoes which are meant to keep you free from pain while having you enjoy running! After all, your feet have to breathe during that hot exercise, and you need the cushioning to relieve the impact as your feet touch the ground. Besides lessening the pain from Achilles tendonitis, running shoes which come with arch support also help prevent injuries. Whether you have conditions or not, runners are susceptible to injuries, especially without the right shoes. As long as you have the right size, type, and support in your running shoes, you’re less likely to experience injuries and pain in the long run. We all know that if you don’t have the right equipment and accessories, you won’t be able to properly improve your performance. The same goes for running shoes! If you don’t have the right pair, then you’re most likely unable to improve your performance as quickly as predicted. Or worse, you won’t be able to improve at all! That’s why it’s important to have the right running shoes in all aspects, which have you run safer and better. Owning and using the best running shoes for Achilles tendonitis is extremely beneficial, but only if you select the right ones suitable for you and your feet! This can take quite a lot of research, as there are various factors to consider. Yes, it isn’t just about selecting the first popular ones you see! With that being said, here are the factors to consider and more tips to help you make the right choices. In order to get the right amount of support and comfort you need, the shoes have to be your size! Learn what your foot size is and make sure that you get the one corresponding to it, or half a size bigger. Furthermore, I recommend you get lightweight shoes, which help you run faster and with less pain as you go. Did you know that there are different types of running shoes based on your goals and the area you’re running in? There are shoes made for prolonged running or sprinting, as well as shows made for either the road, track, or odd trails. Determine where you’ll usually be running and what you want to accomplish so you’re able to find the right one. Comfort is one of the priorities here, which is why I suggest that you get running shoes with extra cushioning. This helps with the impact your feet receive as you run, lessening the pain. Also, shoes with the breathable mesh offer more ventilation for your feet, which heat up while running! Those with Achilles tendonitis require shoes which have more arch support, as this can help lessen the pain during and after your run. So focus on shoes with the right amount of arch support or this that can accommodate orthopedics if needed. That way, there is less pressure and discomfort as you run. The design isn’t such a huge priority, though it’s still nice to get shoes which match your style! Also focus on the price, ensuring that you’re able to afford it. While I don’t recommend that you get the most expensive one on the list, you shouldn’t scrimp and get low-quality shoes that won’t last or help your condition! A healthy diet filled with anti-inflammatory foods helps as well! Continue to eat your natural foods like fruits and vegetables, also having equal portions of protein and fat to stay strong. It even helps with weight! Having conditions like Achilles tendonitis shouldn’t hinder your passion to run! As long as you invest in the running shoes and know how to treat it properly, you’ll be able to continue exercising and becoming a better you. While it does take time finding the right shoes, it will be worth it in the end. Of all the different shoes tried and tested, we believe that there are two best models, each one is for either men or women. 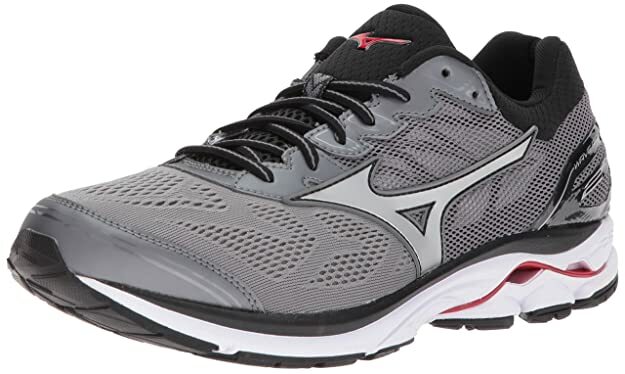 For men, the best running shoes are the Mizuno Wave Rider 21, which offers some of the amazing features that make it comfortable and easy to use. It has the extra arch support and cushioning, as well as the lightweight properties which make it a joy to run with! 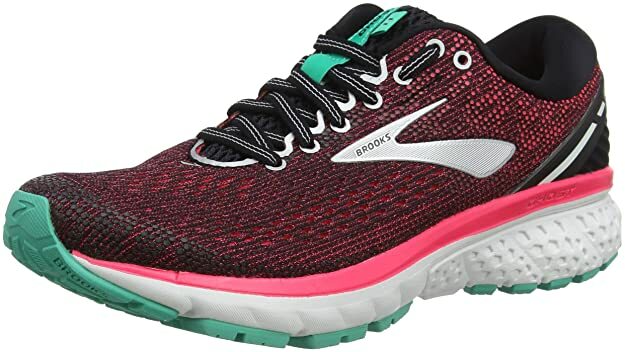 As for the women, we believe that the Brooks Women’s Ghost 11 deserves to be the top, with its beautiful designs to choose from and the lightweight construction that feels like you’re running on air! It’s smooth and runs well, which has improved performance each run you go. Hopefully, this article on the best running shoes for Achilles tendonitis helped you find the right models you need. So don’t wait any longer and look into any of these shoes now! If you had any questions or want to share your tips and experiences with the best running shoes for Achilles tendonitis, then comment below. Your thoughts are much appreciated!